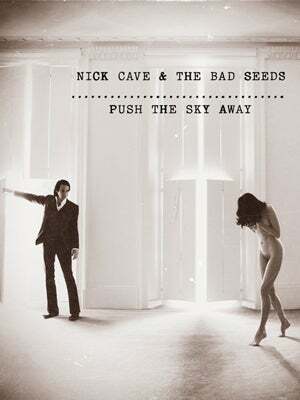 Win Tickets To Nick Cave & Sharon Van Etten's Sold-Out Show This Friday! This week, composer, art rock pioneer, screenwriter, installation artist, and sometimes actor Nick Cave is taking over New York for a three-night stint at The Beacon Theatre — with The Bad Seeds in tow. The shows mark the 30th anniversary for the Australian artist's band, as well as a celebration of the group's 15th album, the excellent Push The Sky Away. Adding even more dark folk gravitas to the bill (as if there wasn't already enough) is the presence of inimitable Brooklyn songwriter Sharon Van Etten, who will be opening the shows. While tickets to all three nights have sold out completely (huge bummer, we know), the band has been nice enough to give us two seats to Friday's show so that one lucky winner and a guest can see the King of Noir in the flesh. Just tell us your favorite thing about Nick Cave — is it his music as Grinderman? His soundtrack for The Proposition? His awesome debut with the Bad Seeds, "From Here To Eternity"? Or maybe some other project completely? With an artist as mercurial as Cave, everyone likes something different. We'll choose one person's answer, and give them two seats to the concert on the 29. Just check the comment section on the evening of the 27 to find out if you've won. See you at the show! Friday, March 29, 7 p.m., Beacon Theatre, 2124 Broadway (between 74th and 75th streets); 212-465-6500. Photo: Courtesy of Nick Cave.